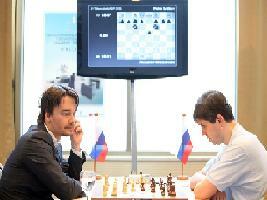 Gata Kamsky spent 7-8 minutes for the first move before opting for the Dutch defence. He took up this opening because he “wanted to play something interesting”. After 12…Nc5 “I thought I was slightly worse but at least I am not losing so it is okay”. 13…Nfe4 had white contemplating about the future course of the game. 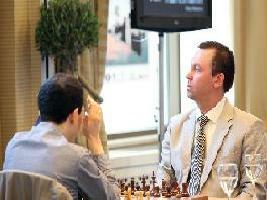 Kamsky believes that White had to exchange all Knights and play with the heavy pieces. 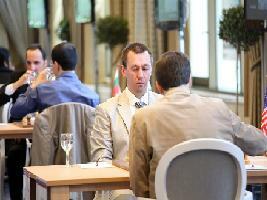 Gata Kamsky avoided theoretical discussion and started calmly with the English opening. In reply, Svidler set the reversed Sicilian Dragon. The play developed slowly with lots of maneuvering, but White attained better pawn structure. Black decided not to wait too long and started operating on the kingside. However, the position opened to white’s benefit. The game still remained very complicated and Kamsky was not sure by how much he was better until he played 42.Rh2. Already after the next move Svidler resigned. Read a report on the round at Chess Blog. 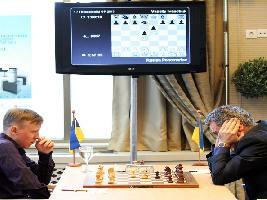 The sixth round at the Thessaloniki Chess Grand Prix 2013 witnessed Vassily Ivanchuk self-destructing yet again before Ruslan Ponomariov. The match started as French defence and the commentators were hoping that this was a signal of Ivanchuk’s desire to play for a win. White responded with a Tarrasch setup. Ponomariov kept his options open, with possibility to play on either of the flanks. 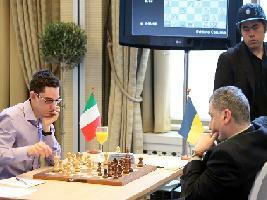 Ivanchuk underestimated white’s flexibility and carelessly castled long. 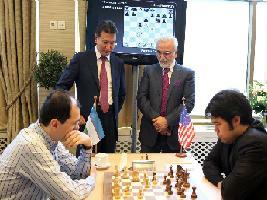 The only decisive game of the fifth round was between former World Chess Champion Rustam Kasimdzhanov and Leinier Dominguez. The Bogo Indian was an interesting position with the Carlsbad pawn structure, and the resulting double Rooks endgame seemed headed for a draw. “Of course, with correct play it should be a draw,” Dominguez explained. 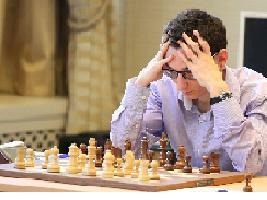 However, he found 28…Kf8, which was a clever way to eliminate the problems with the 7th rank. The game started as Ruy Lopez and white chose the quiet but popular 6.d3. Later on, both went for an attack on opposing flanks. Dominguez managed to “trick” his opponent into giving up the a-file. Dominguez said that 23…d5 was a mistake, he expected 23…Rxc2. After this the black position was already difficult. Dominguez said in the press conference that he made a good opening choice, because he managed to create some pressure thanks to the pawn structure. 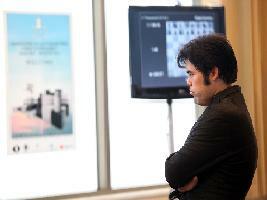 You can read a report on the complete round at Chess Blog. 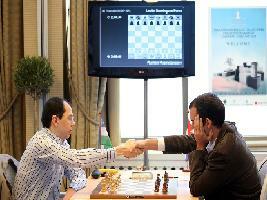 The match started as a Four Knights Game and Svidler opted for the active Rubinstein variation. Black sacrifices a pawn but gets good compensation as white pieces are a little bit clumsy. Black challenged white’s foremost pawn on e5, but Morozevich didn’t want to dig in with 13.Bc2 and 14.f4, but instead went for the inspiring b4-b5 advance. Later, we learned from Morozevich that this was his attempt to activate the pieces on the Queenside. A game full of fireworks even though the Benoni flowed into several odd moves by black allowing White to obtain a small but lasting advantage. White passed d-pawn was a strong trump for the endgame, while its counterpart on f4 was a constant source of worry. 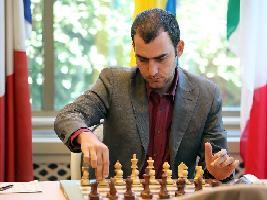 Rustam Kasimdzhanov exchanged the pieces down to B+N endgame and finally picked up the f4-pawn. He proceeded to convert the material advantage into full point. 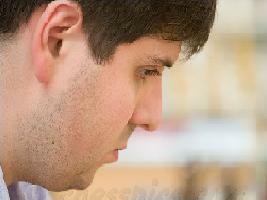 Peter Svidler was the first to score a victory in Thessaloniki. His game with Etienne Bacrot started as Semi-Tarrasch and for awhile it looked like black is doing fine. 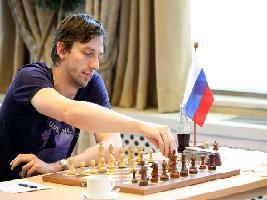 But later he started to err and Svidler used the opportunity to invade the seventh rank with the rooks. 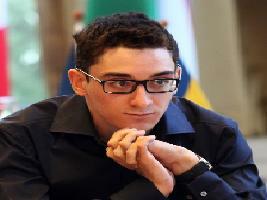 Bacrot admitted that he “lost control some time around 19…h6.”. Svidler pointed that 21…Ba3 was unnecessary and that 21…Rc8 was to be preferred. He also criticized the retreat on 22nd move and suggested 22…Qa5 as possible improvement.